Saturday Art Club is run as a partnership between Nottingham Trent University and the Saturday Club Trust from the autumn to the summer term each year. Aimed at pupils in Years 9, 10 and 11, our goal is to give you the opportunity to get involved in a subject you love, free of charge, at your local university. Previous Art & Design projects have included: GIF creation, animation, photography, ceramics, sculpture, self-portraits, mask-making and more. From traditional to digital, you’ll be able to try your hand at a variety of different art forms through our free workshops and masterclasses with professional artists. 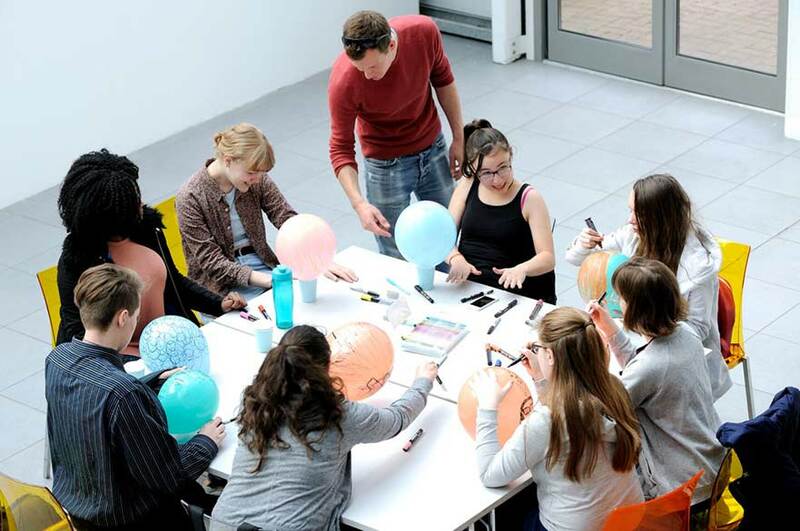 You’ll have access to our excellent Art & Design facilities, get to meet like-minded young people and make new friends. As well as having lots of fun, Saturday Art Club also looks great on your CV if you decide to apply to college or university later on. There will also be the opportunity to see your own artwork on display in a London gallery! Limited places are available; applications usually open in September each year. To check your eligibility, please email NTU Saturday Art Club.